VirnetX was today awarded $502.6 million in a patent trial against Apple, reports Bloomberg. Apple's FaceTime, iMessage, and VPN on Demand features are said to infringe on four VirnetX patents related to communications security. Apple's legal dispute with VirnetX has spanned eight years and multiple trials thus far, and the $502.6 million awarded to the patent company today is separate from the $439 million awarded to VirnetX in October in a different trial. 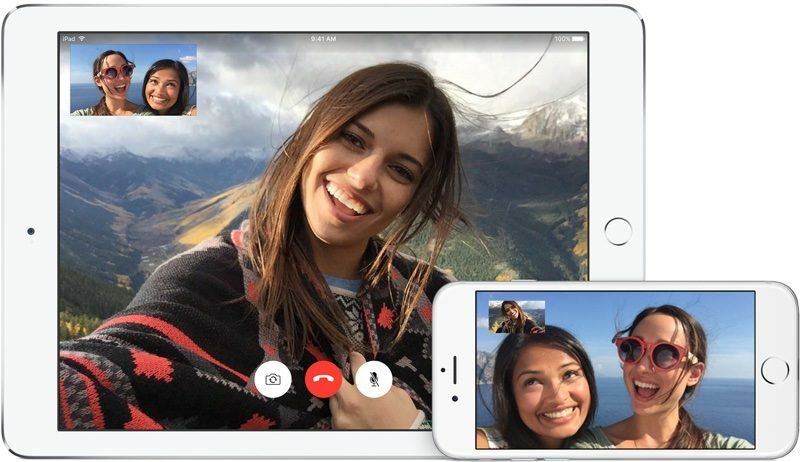 Today's $502.6 million jury award appears to pertain to newer versions of Apple devices that have a redesigned FaceTime protocol introduced in iOS 7 and iOS 8. VirnetX CEO said the damages awarded, which were based on sales of upwards of 400 million Apple devices, were "fair" and that the "evidence was clear." VirnetX originally sued Apple in 2010, alleging that Apple's FaceTime peer-to-peer connection technology infringed on its patents. VirnetX was initially awarded $368.2 million in 2012, but the original case has been wrapped up in appeals since then. In October of 2017, Apple was told to pay $439.7 million in a final judgement of the original case, which the Cupertino company said it would appeal. Combined, Apple now owes VirnetX $942 million, but Apple is likely to appeal this most recent ruling so that may not be the final award granted to the patent company. The Patent Trial and Appeal Board has also said that the patents involved in the case are invalid in separate cases that are being handled by the U.S. Court of Appeals for the Federal Circuit in Washington. A final validity ruling has not been made yet, and the outcome of that case could ultimately impact this trial. The Federal Circuit declined to put the current trial on hold despite the question of the patent validity, says Bloomberg, because it was so far along. Does VirnetX hold patents relating to iMessages in the Cloud too?! VirnetX originally had 4 patents related to LTE. They have never used one to sell an actual product. They have over 100 now. Nothing they created, just bought up. 90% of their employees are lawyers. They define the term "Patent Troll". Apple has products on the market. The definition of a patent troll includes holding patents but not having a product. What if I want to license my invention to a large company, because I don’t have the millions (or billions) required to go into production? Suddenly I’m a troll just for creating something but not producing it myself? 2) Licensed it with the intention it would actually be used in a product. "Patent Trolls" do not develop Intellectual Property - they buy existing IP that is broadly and vaguely defined to maximize it's potential applicability. They then use that "war chest" of purchased patents to sue as many companies actually making product as possible to generate income from those patents. This tells you everything you need to know. This is where all patent trolls file, because the district is pro-patent troll. I don’t buy that definition. IMO, the actions taken by owners of patents is what defines them as trolls, not the organization of their company. A company that make products could act like a troll and a company that only owns patents could behave ethically and not be a troll. If I’m a small independent inventor, and I come up with a new invention, then I’m supposedly a patent troll because I don’t actually manufacture anything? What if I want to license my invention to a large company, because I don’t have the millions (or billions) required to go into production? Suddenly I’m a troll just for creating something but not producing it myself? These companies are purely patent holding as their raison d'etre. They intend to do absolutely nothing with said patents, and lie in wait to pounce on any company that uses similar technologies; the latter usually having no knowledge of said (usually highly obscure) patent even existing. Hence patent troll being an apt description of their business model. Going to be lots of MR posters celebrating tonight. Seems like they’re only happy when something negative happens regarding Apple. definition of a patent troll hasn't been formally defined. but a company that buys patents (instead of inventing them) and has a workforce of 90% lawyers suing anyone that supposedly infringes on the patents can be considered a patent troll. How is it contributing to society by harassing people that make stuff while you make nothing? I get the distinct feeling that the posters yapping about "having to make something with the patent" have never invented or patented anything. Let's say that YOU invent a new way of saving battery power in a smartphone. You patent it. But you cannot afford the millions of dollars it would take for you to build and sell a smartphone yourself. Licensing your invention to anyone who wants it, is contributing to society. NOT LICENSING IT would NOT be contributing. And of course companies are free to NOT use your patent if they don't want to. So there's nothing wrong with not making a product yourself. This is AMERICA AT ITS BEST, letting even the small guy make a living from his inventive labors. Later you discover that a major company is using your method without paying for a license from you. So you offer them a license. But they instead call in their lawyers who do the usual claims that it's not a valid patent, and even if it is, it's not worth what you want for it. Problem 1: Apple itself had tried to patent at least one of the methods, but found that they could not because Virnetx already had a patent. One of their engineers even admitted it, before Apple's lawyers tried to withhold his testimony. Ooops! Proof of willful infringement of a method that even Apple had thought was patentable. Problem 2: Apple then claimed that it would cost them too much to switch to a different method. Ooops again. Proof that the patent really was worth money after all. Folks, someone who licenses a patent freely to anyone for a fee is not evil. They're making a legitimate living and offering their invention to those who want to enhance their products. It might even be you, if you're creative. Unfortunately big companies can use legions of lawyers to try to get around paying you. Sometimes that works, sometimes it doesn't.